Pocket-sized self-care for every day. Self-care is daily nourishment that gives us a fighting chance to minimize illness, fatigue, depression and anxiety. Central to the idea of self-care is the idea that taking care of yourself is not selfish and offers essential ways to stress-proof your body and mind. 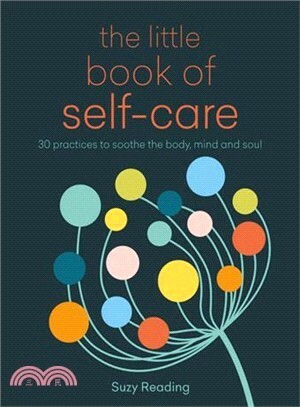 In this beautiful little book, Suzy offers 30 self-care practices for the reader to choose from depending on what they need. Suzy Reading is a chartered psychologist (B. Psych (Hons), M.Psych (Org)) and qualified yoga teacher from Australia, specializing in wellbeing. Her offerings include face-to-face coaching, walk & talk sessions, private and group yoga, mummy and baby yoga courses, Skype coaching, workshop presentations on self-care and other topics such as sleep, rest and relaxation, and how to make sustainable lifestyle changes. Suzy is also the Neom Organics Psychology expert and a Contributing Editor on Psychologies Magazine. She has contributed to journals on the subject of self-care.